Drawing Circles - Stay Kind! 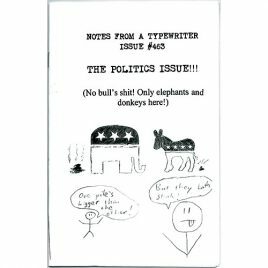 This is the first zine put out by The Monster Ducky Press. It is Allymonster’s compilation of memories from her childhood, reflections on her favorite things, personal stories, lot’s of writing about herself as a third person, lists, poems, photos, drawings, how-to, sesame street references, collage, etc. It gets a little dark but deep too. By The Monster Ducky Press.